When choosing a flashlight, you should make sure that it meets your needs. Different flashlights brands and models have varying features which might be useful or not important to you. Also, the flashlight brand that you buy from is very crucial. Some brands have a bad reputation while others are well known for their quality products. The Streamlight brand is one of the best and their flashlights are not just durable and reliable, but as well come with outstanding features. The Streamlight stylus pro usb flashlight maximum brightness is 90 lumens, 41 meters beam distance and waterproof too. In this Streamlight Stylus Pro review, we will look at the Streamlight 66218 penlight. Dual Function: Two illumination options give option of a 41meter forward beam or 360 degree. Flashlights have evolved over the years to come up with what we have at present. Before the LED bulbs were discovered, a good number of flashlights were big in size and inconvenient to move around with. But today, the LED technology has made it possible for small flashlights such as edc, penlight and keychain lights to be made. Read of this Streamlight stylus pro review to know its features and functionality. Streamlight 66118 stylus pro penlight with nylon holster is a well made flashlight with great features. First of all, it is constructed from anodized aircraft aluminum and has a non-slip rubberized comfort for easy handling of the flashlight. It is compactly designed for easy use on a daily basis and can survive the different tough weather conditions. It uses C4 LED bulb and produces a maximum of 90 lumens that covers 58 meters. These and many other features that we will discuss below make this flashlight to be exceptional in performance. Streamlight 66118 penlight is a sturdily made light. The body is constructed from anodized machine aircraft aluminum which is durable and corrosion resistant. Thus, the user can be guaranteed to use this flashlight for a very long period of time. In addition, it has a non-slip rubberized comfort grip that makes handling of the flashlight to be easy. It won’t slip from the users hands despite of whether they are wet or not. For everyday use, people need flashlights that they can easily carry in their hands and not something big. As its name suggests, this flashlight is in the size of a pen and very small in design. Its sleekness is what makes it unique and friends will get to admire it. The flashlight can fit in very tight places and can even go unnoticed at times. If a flashlight is small in size, then it shouldn’t come with complicated features. The streamlight penlight is a good example of an easy to use edc light. It has a push button tail switch which is used to turn on momentary on or constant on function. This is a simple operation and it is not complicated a single bit. When it comes to working in different conditions such as rain or in dusty places, the streamlight stylus pro still delivers. This is because it has an IPX4 rating which means it can survive or function in water for a certain period of time. This is marvelous for such a small flashlight. 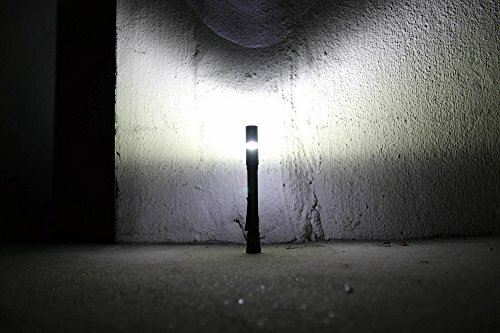 Also, the white light produced by this flashlight is able to penetrate in dusty or smoky surroundings without much difficulty. This flashlight comes with a C4 LED bulb. This is a great technology and has made flashlights to be more reliable and extremely bright. The C4 LED bulb comprised in this flashlight is extremely bright and uses ½ watt. Also, it has a lifespan of up to 30, 000 hours which is amazing. This means that you will continue to receive very bright light for at least 3 years from this penlight. If you thought that this flashlight is one piece of junk, then start to think otherwise. The lens of the flashlight is as well sturdily made as it is unbreakable due to its polycarbonate material. 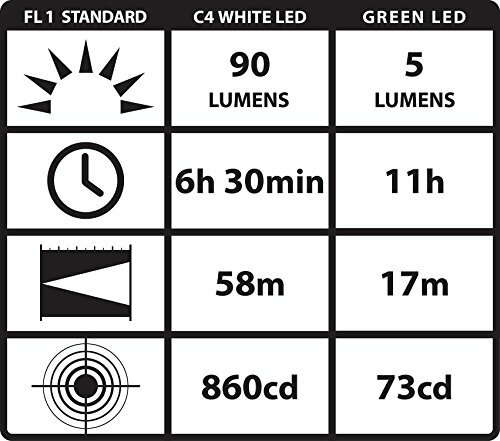 Furthermore, the lens is scratch resistant and you can be rest assured that the C4 LED bulb will be protected. For people who work in tricky or tough conditions, there is no need to worry about anything. This is because this flashlight is constructed with some of the best materials on the market and it cannot be easily destructed on impact. It is tested to have an impact resistant of up to one meter. This is really amazing for such a small flashlight. The source of power for this penlight is two AAA alkaline batteries. Alternatively, you can use NiMH battery which is rechargeable up to 1000 times or NiCD battery. This heavily relies with your budget or the type of battery that you prefer. But AAA alkaline batteries are the ones that are easily available and cost less when compared to the other two types of batteries. Many people think that small flashlights such as this one from streamlight can’t provide light for more than one hour. This is absolutely wrong as there are some models that provide light for more than 50 hours. The streamlight stylus pro LED flashlight offers light for 6 hours and 30 minutes. Normally, flashlight users dislike flashlights that they can’t keep easily in their pocket or backpack. Imagine going to work with a big flashlight that protrudes from your pocket? This is not a good site and you will feel uncomfortable. The streamlight 66118 flashlight comes with a nylon holster and pocket to enable the user easily keep their flashlight when not in use. Buying from a reliable or well-known brand such as streamlight has its own advantages. Here, the buyer gets a lifetime limited warranty if they come from the USA or a 10 year warranty if they emanate from other parts of the world. This edc flashlight may be ideal and easy to carry around but cannot be relied on to provide very bright light that covers a great distance. Also, it cannot light for very long as it has a maximum of 6 hours and 30 minutes runtime. So, it’s not suitable for hunting or other outdoor activities that may need light for over a long period of time. Another downside of this penlight is that it is not very bright and you won’t get enough light if that’s what you are looking for. Consider edc flashlights with lumens of more than 300 or so. The streamlight stylus pro LED flashlight is a small and sleek light good for everyday activities. It has a maximum of 90 lumens which is bright enough to light a dark room and reaches up to a distance of 58 meters. 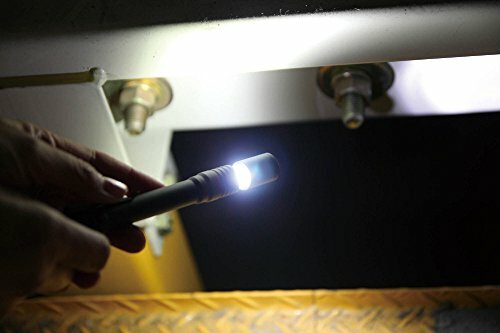 The LED flashlight is made of durable aircraft grade aluminum which ensures that the flashlight is able to survive crashing and serve the user for over a long period. In addition, it is impact resistant and waterproof. Thus, it can be a great sturdy light or be useful when there is a blackout. I have explained everthing in this Streamlight Stylus Pro review that you should know about this flashlight.